How much do you love finding a stand out piece of clothing for an amazing price? If you live in Greater Toronto area then you must head to Dixie Outlet Mall. Dixie Outlet Mall is located on the border of Mississauga and Etobicoke right off the Q.E.W. Inside Dixie Outlet Mall you will find over 135 stores all with incredible bargains and finds to be found. I spent a good portion of the day walking around the mall 'hunting' for a great statement piece. 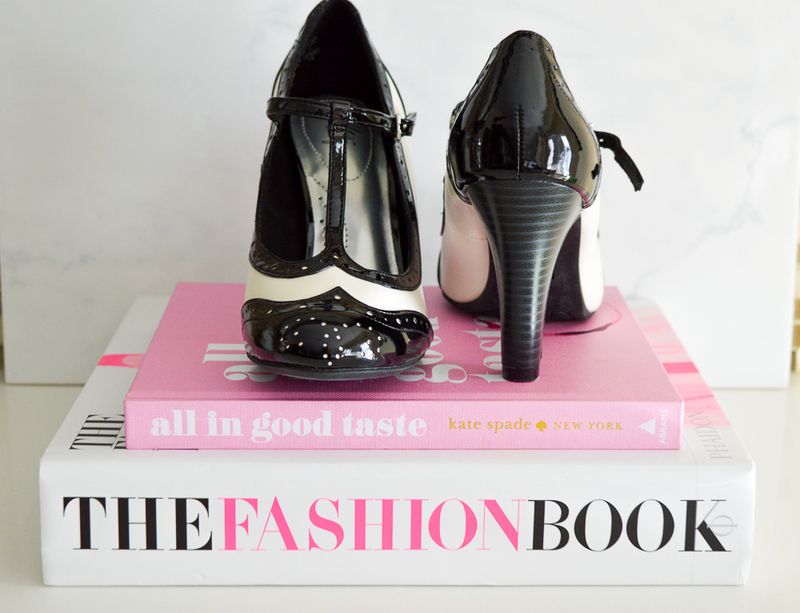 You can see from these two pictures that I found a great pair of black and white shoes, a windowpane printed black and white top, and some great accessories. All of these items together were well under $100, so I picked up a pair of black jeans to complete this outfit. What surprised me most about Dixie Outlet Mall was the incredible children's stores. As a mom, I always love to look for my son, and he was so happy to get some new things too. 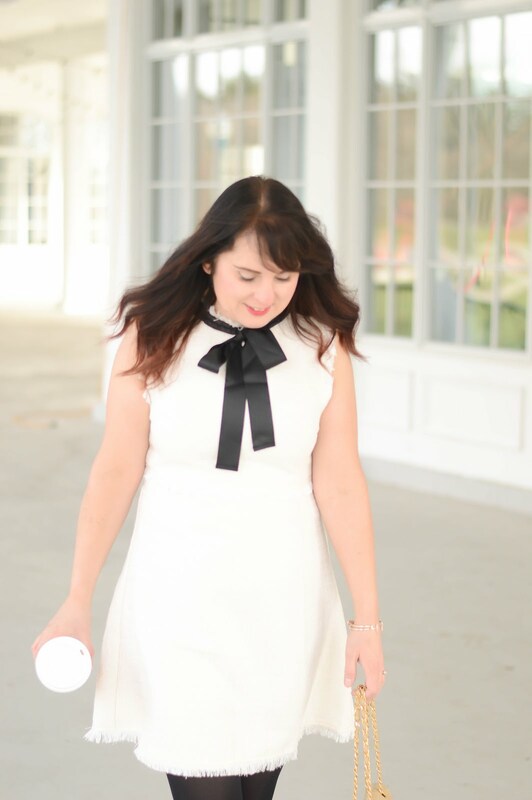 I love this black and white outfit, the blouse from Urban Planet fits amazing and I am wishing I picked it up in the alternate colour scheme too. My biggest regret is NOT buying a gorgeous pair of Nine West shoes, even if they were a little too small. BUT there is always next time. I can't wait to go back to Dixie Outlet Mall and see what spring styles are hitting the stores.